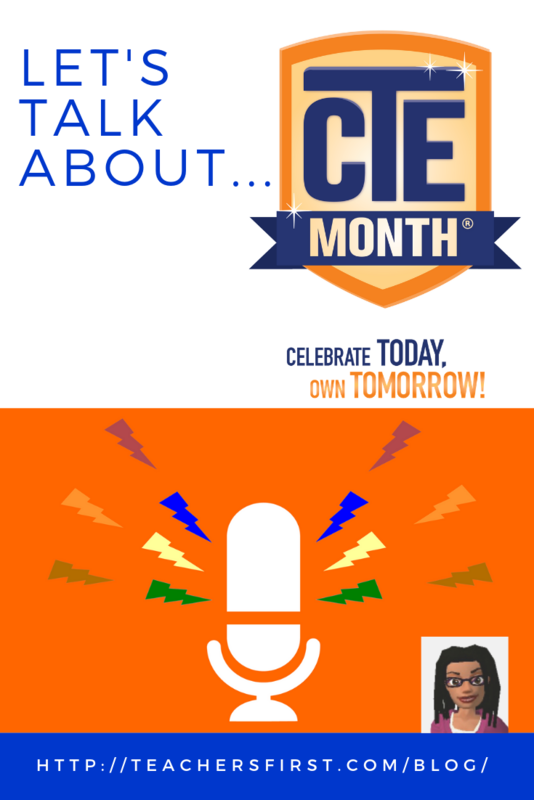 February is Career and Technical Education (CTE) Month®. 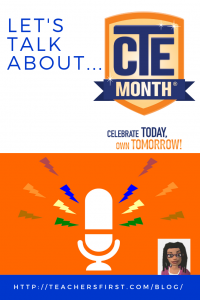 While it is a time to celebrate those in the CTE community and the great work they do, it is also a time to raise awareness about CTE and the role it has in preparing our students for careers and college. CTE helps students acquire real-world skills as they prepare for college and careers. I think teachers should encourage students to enroll in a CTE course whenever possible. The research shows that students with CTE coursework are typically more satisfied with their school experience. Many times they can see the answer to “why do I need to learn this” almost immediately when doing the practical application of their coursework. They also get to learn and grow with like-minded students who have similar interests. Involvement in a CTE program can take many forms. Students learn workplace readiness skills as they explore a variety of careers including things like culinary arts, horticulture, medical assistance, technology, welding and so much more. Some schools coordinate with local community colleges so that students can get college credit. Other school programs prepare students to take industry certification exams so that they can begin working right away after high school. It is important to remind students that taking CTE coursework does not mean you won’t go to college. A dear friend of mine was steered toward the cosmetology program when we were in high school. At that time, they wanted to prepare her for a career in case she wasn’t ready to enroll in college at the end of high school. She did very well in the program and was licensed to do hair and nails. She used those skills to get a flexible job which she kept throughout college. After she began teaching, she worked at the salon on weekends and summers to make extra money.